Agriculture is among the first American industries – and a vital livelihood for more than just farmers. The United States currently has over 2 million farms covering an area of 900 million acres, with a large portion of that being corn: the most widely produced feed grain. The U.S. is a major player in the world corn market with 10 to 20 percent of domestic corn crop exported to other countries. After record highs in domestic farming incomes in 2015, projections for the U.S. farming industry income rapidly dip and stabilize in 2020. Flat income projections force the farmer to do more with less and efficiencies become increasingly important. 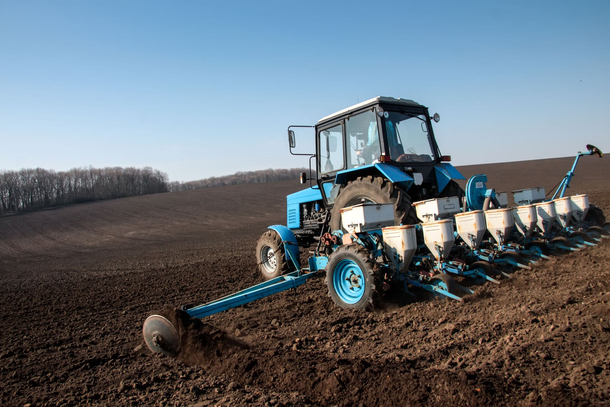 Coupled with the electrification of farming vehicle systems and rising seed costs, the farmer faces a unique challenge: accurately planting seed in order to optimize crop yield. Graham Electric Planters, with help from Allied Motion, turned that challenge into a great opportunity. Graham Electric Planter has a passion for improving farming techniques and practices through the implementation of technology. Founded in 2008, the company aims to extend the life of its old planters and improve the efficiency of its fertilizer operations. Graham essentially took the hydraulically powered single-shaft seed planting method, electrified it, and made each row planter capable of independent operation. Graham’s initial system, now called Graham Classic, utilized a PMDC motor with a low resolution optical encoder interfaced to a motor drive and an in-cab tablet-based control system. The Graham system could be retrofitted into older seed planter systems, which was a huge boon for smaller farmers wanting to get more out of their current systems. Graham offered smaller farmers advanced seed planting accuracy, consistency, and control at a fraction of what it would cost them to purchase an entirely new tractor with those features pre-installed. Named the Yuma Project, Graham set out to improve its system in several respects, perhaps the most novel being wireless communication between individual row seeders and the main control in the planter cab. That’s where Allied Motion’s North American Solution Center (NASC) enters the picture. The NASC played a key role in making Graham’s quest for the wireless row seeder a reality. The NASC pulled together and orchestrated engineering personnel and expertise resources from across multiple Allied Motion companies to deliver a complete solution package to drive the seeders. The result is the motive heart of the Graham Pro EPD system: a rugged, reliable right-angle gearmotor that utilizes a brushless DC motor with an integrated motor controller and wireless control module. The Yuma Project highlights our one-team approach to problem solving. Knowing that a single Allied Motion company would not possess all the required expertise, the Allied Motion NASC leveraged multiple engineering teams, all while managing a very aggressive project schedule to match the customer’s timeline.